Firefox Smartphones OS: Mozilla intends to partner with handset makers to release smartphones on the cheap, less than $ 50 (38 euros), in emerging markets. The company sees a business opportunity in these markets that have not yet been fully exploited. 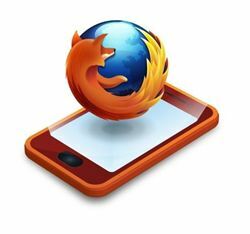 Mozilla tries to extend into the smart phone market that becomes more relevant every day worldwide. He is now studying the cost segment least still has great growth potential. The U.S. based company is launching its Firefox operating system for mobile devices as an alternative to the current dominant systems, Android and iOS. “We see great opportunities in emerging markets, where customers and carriers crave eligible for affordable smartphones. We focus on low-cost segment, being neglected,” said senior vice president of mobile devices Mozilla, Li Gong. The manager explains that Mozilla aims to take a big step and momentum in the mobile phone market as a provider of the next 2,000 million smartphones low cost for users in emerging markets. The company’s goal is to ensure a 10 percent global smartphone market, but did not specify when they try to reach that goal. “The phones with price below $ 50 are a key point for emerging markets like India and China. Lets see what happens then more reference designs low cost smartphone from our manufacturing partner Foxconn and Chinese chips Spreadtrum house, “said Gong. Meanwhile from Foxconn said they are already working on the development of more than 5 devices, including smartphones, televisions and ‘tablets’ operating system using Firefox.